Private and group dining available. Contact our dedicated Sales and Marketing Manager to plan your next business or social event. Hosting a party at your home or office? Ask about Morton's Prime To Go and Prime Platters! Please call for details (314) 725-4008. My partner and I made a reservation to dine as part of our 8 year anniversary celebration , first time in this casino-housed location. We arrived at 5:45 pm and were directed to the bar area for seating. When I asked to be seated in the dining area, were told by the white male manager on duty that we could not be seated in that area because of my partner was wearing an SIU “ hoodie”. He invited us to read the dress code sign And stated that attire was business casual. We were offended, insulted and embarrassed as we were relegated to the open , Smokey bar area.. We informed that we had driven over an hour without effect. We decided to stay but noticed a constant string of individuals ushered to the back , including a group of white women in “jeans” — not business casual at any of my places of business. When we left, I watched as a white woman in tennis shoes, Capri jeans and a t-shirt was taken to the back . That did it and we asked for another manager! We explained that their policy was not consistently applied, as we observed, and she concurred that people exiting at that time were not dressed differently than my partner......... again, this was a Smokey casino! We won’t be back, but I’d suggest you revisit how you apply your policy. Had an excellent dinner with 2 friends. Steaks were better than expected. Our server, Crystal, was wonderful. Can't wait to go back. Great service. Food was good, but not excellent. I really enjoy the place! Great food! Great service! Great place! Our server was amazing and the food was very good, but the atmosphere is so so. Ended up going to 801 chophouse the next evening for a birthday celebration. They had some great options, some expensive so Not so expensive and the food was equally as good if not better and the ambience was 100 times better. Something cheesy about the Lumiere and the cigarette smoke wafting in was disgusting. Not the fault of the restaurant just not a great location. Our server made up for that! He was fantastic! Our first visit to this restaurant for our anniversary. We were warmly welcomed and all services thereafter were top notch. Personally I think Mortons would do better in a more premier location away from a casino atmosphere. Thank you for a premiere dining experience for our anniversary. Absolutely perfect. They really went above and beyond. We had a great time and a great meal. The staff was spectacular. 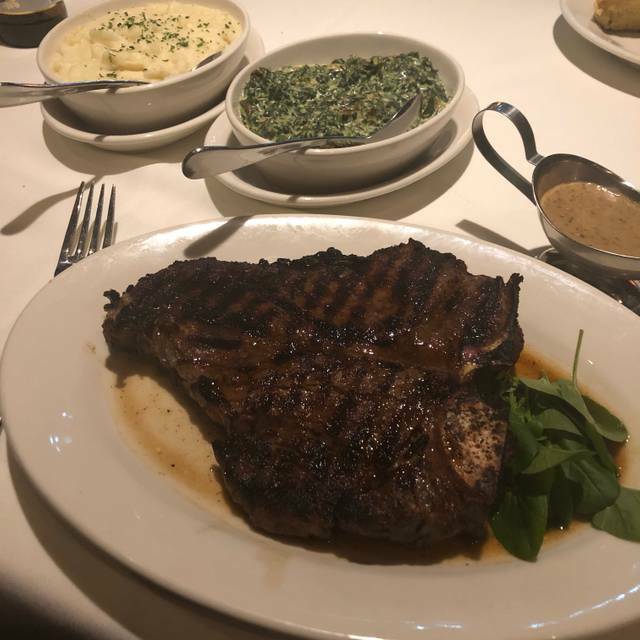 Best steaks in the Midwest highly recommend Mortons to anyone looking a date night or a business meeting. The Steakhouse is inside the absolute smokiest Casino in the world. Sit in the rear or you will miss these incredible flavors. Loved the food and sharable sides. However, the wine prices are obscene and unnecessarily too high. Such as Chatteau ST Michele Riesling at $12 a glass. About 600% profit instead of a customary 250% for this entry level white. We love the food. We hate the smell of cigarette smoke, which you cannot avoid due to it being the casino. Absolutely delightful! Our waiter, Lee, was especially good. His helper had a great table side manner. All made us feel very welcome and special. The food was very good, presentation very nice, generous portions. Excellent place, newly opened but has captured the atmosphere of original Morton's in Chicago. 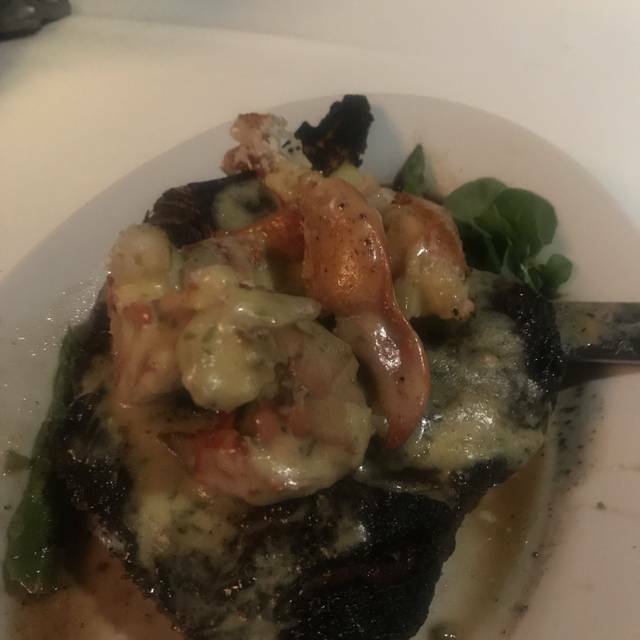 Steak and shrimp was amazing! Would love to eat here more often. The restaurant’s atmosphere was very calm. Didn’t like the the fact that the restrooms were out of order and u had to walk a long distance to the restroom. The food and service made up for the inconvenience of the restrooms. We have been long time fans of Morton's and chose to have Valentine's Day dinner at the new Lumiere Casino location. The crowd was lighter than normal so we expected more efficient service. We shared sides (baked potato and sautéed spinach and button mushrooms. I had the 16 oz. ribeye and my wife had the petite filet. My steak was perfectly done but the filet was the toughest my wife had ever had. Our waitress did a better than average job although the service was slow. The dessert was supposed to be the highlight of our meal but the waitress didn't understand our request for the molten chocolate cake and brought us chocolate pudding instead. Not sure how she misunderstood since the cake is their signature dessert but that was the case. When she realized the mistake she apologized and said we should have clarified our request. We thought we were very descriptive. She offered to place the order but we were in no mood to extend the ordeal. The finishing touch came when we asked to have our food prepped to take with us. A person I can only guess was the manager took our food and mixed everything in the same non-compartmentalized container. I've never had that happen before. When our regular waitress came back and we asked her about it, she apologized and admitted that isn't their normal custom and she didn't know why it was done that way. She offered to re-box everything and we agreed but the manager never came back to apologize. 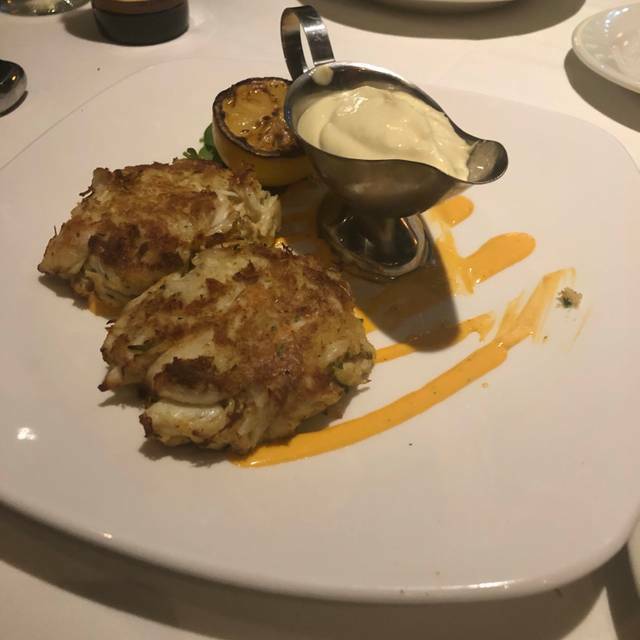 Because I understand how the restaurant business works, I didn't want to penalize the waitress for things beyond her control but Morton's dropped down on our list of favorite St. Louis restaurants. Everyone has a bad day from time to time so I'm trying to be fair so I didn't penalize her with the tip. I hate to think they've lowered their standards because they are now in a casino environment but they were far from the service we had become accustom to. I'll give them another try as I hope this was a one time occurrence. I’m not too fond of the new location. The valet service was TERRIBLE. I have allergies and can’t stand smoke and since it’s in the casino now, I smelled smoke the entire night. They removed some of my favorite items from the menu. While the food and service was still excellent....unfortunately I won’t be returning for the aforementioned reasons. Mainly because of the smoke from the casino. I know there is nothing that can be done about the smoke, but you may want to consider getting your own valet. Too much smoke and casino noise. Not a good location for a high end restaurant. Birthday party! Everything was great besides it took over 2 hours to get food! Outstanding food with excellent service. Love that they’ve reopened. The food was excellent. It is very expensive but we all had a great meal! Steak was mediocre at best. Appetizer was outstanding. Potato was good. Salad was okay. But. It’s a steak house. Over cooked ribeye and it was a little tough. Considering price not very good. It was what I’d expect from outback or longhorn. Wife got filet and it was seasoned oddly but a better steak. Morton Steak House is of course known for their steaks and being a very nice place. My steak was amazing, Oscar style so good! Server was so kind and of course the interior is beautiful. But, the new location is at Lumiere Place Casino. There is no bathroom, you have to use the smoke filled hallways of Lumiere to use the bathroom. Our table could look out into the hallway, parade of very interesting people, it’s such a trashy venue we won’t be back. Parking is with the casino, so good luck with that trash lot. I got asked for change and if I had a cigarette. Morton’s St. Louis, moving from Clayton, Missouri, inside of Lumiere the trashiest casino, big mistake. Excellent steaks, lobster bisque soup and broccoli. The chocolate layer cake and double chocolate mousse were delicious! Service was friendly, attentive, and dedicated to customer satisfaction. We were excited to try the new Morton’s, but extremely disappointed in the venue! We had to walk through a smoke filled casino into a smoke filled restaurant. When spending that kind of money for fine dining, we expect NOT to smell cigarette smoke while we eat! The taste of the food was influenced negatively by the invasive smell of cigarette smoke and air fresheners trying to mask it. If Morton’s could glass off its restaurant or have a separate ventilation system, it might make a positive difference. My first time walking through the Lumier Casino. The restaurant was Nice and clean with very friendly staff. Morton’s Steakhouse was hard to find but the staff at the casino was eager to help. The food was EXCELLENT and the entire Morton staff rolled out the red carpet for their patrons. The meal was average price for a steakhouse. We ended the dinner with a great tasting dessert. Very nice restaurant. Bartender was a lovely man. Awesome food and service. Best steak in town! Used to be the best. Now it's just overpriced and tacky. Don't bother. The wait staff were very professional and attentive. Meal choices great quality, dessert a delight. Always one our Favorite restaurants to dine. Oir server was AWESOME. Even for a NYE dinner your never sure what you'll get for a holiday and the food and service was spot on. Sorry to see you leave Clayton. This visit was on Christmas, but if you are an expensive restaurant open on Christmas, you should still offer great food and service. Both were lacking - filets were the most tasteless steaks I’ve ever had, salad was like someone ripped a semi wilting head of lettuce in half and threw it on a plate. We couldn’t get glasses refilled or our server’s attention and the restaurant’s ambiance was like that of an overcrowded Friday’s. Will not return here.